Here is some food for thought, imagine disposing off one of the three shopping bags after you go grocery shopping in the nearest garbage bin. Feel some guilt? Basically, that’s exactly what’s happening with our food globally. One third of all the food produced in the world is either lost or wasted. Every year world leaders meet at the UNFCCC led Conference of the Parties (CoP) to agree on global agenda for tackling climate change. Diverse issues including energy generation, transportation fuels, forest conservation and food production, among others are addressed. 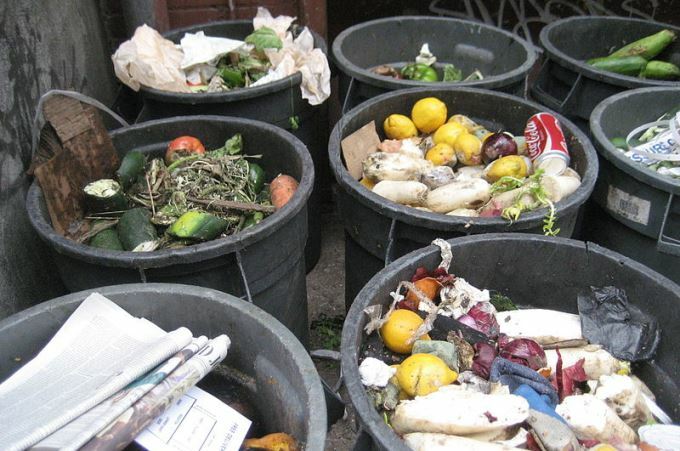 But one domain that needs more focus at present is how to tackle food waste and its reduction since estimates suggest that 14% of global carbon emissions are caused by food waste. There are numerous situations where we unknowingly waste food. Grabbing the middle softer pieces of bread and leaving behind the thicker start and last piece, peeling off the carrots to remove the skin, throwing the broccoli stalks away, cooking rice and chicken and eventually throwing it away since it was leftover. I am sure it is familiar to lot of us! Many of us are inflicted with the wrong notion that wasting food is probably not that bad, as emitting carbon because the food is put in landfill and thus decomposes. Wrong! Light and air are two basic components that are required to compost the food properly. As a result, methane is released from the garbage, which is one of the villains of global warming. Methane, a short-lived climate pollutant causes 86 times more warming over a 20-year period than the same amount of carbon dioxide, according to the most recent estimates from the Intergovernmental Panel on Climate Change (IPCC). Thus, adding to the greenhouse gases emissions and warming the environment. It is believed, that the rise in average global temperature is more affected by food waste than by air traffic. An IPCC report reveals that as the Earth gets warmer, it will affect global production of food – from farm to sea. The changing climate will require more intensive production of food, which will affect the planet’s biodiversity significantly. And while 1/3 of the world’s food is wasted or lost, it adds up to the global resource scarcity. Not to forget the pressing demand for food due to the growing population. Thus, it becomes imperative to integrate climate change into a food security strategy. Shop smart and zero down your fridge – eat what’s in your fridge before buying more: Most common mistake is buying food sold by bulk discounts (even if you don’t need it), stuffing the food in the back of your fridge, forgetting to use it – and a week or two later, when the food has gone bad, you throw it out. By then, you don’t even consider it as food – you think of that as waste. Give your leftovers a makeover: There are ample of recipes where the leftovers can be recycled into an altogether yummy dish. Bring your creativity out and try to reinvent the food on your plate. Buy funny fruit and vegetables – don’t avoid buying fruits and vegetables just because they don’t look “perfect” (Psst..the perfect looking fruit or vegetable on that market shelf probably has soaked the highest concentration of pesticides). Shred & Bury: Dig a shallow spot or trench in your backyard or maintain a series of pots. A generous layer of food scraps in the bottom of the hole can be put and covered with straw, leaves, or shredded newspaper. By doing this, you are creating a mini compost pile that will turn quickly into rich nutrients to keep your plants healthy. Shredding the food scraps will accelerate the composting process by 4 to 10 times. Bag & Leave: Put the food scraps in a large garbage bag along with a generous amount of leaves in your garden or local park. Moisten the leaves, seal the bag and then cut a few slits in the bag for airflow. If you place the bag where it will get a lot of sunlight, your bag will heat up and your compost will be ready faster. And as mentioned above, if you shred the food scraps beforehand, the process will speed up dramatically by giving beneficial bacteria more surface area to work on. Spread the word about stop wasting food and encourage positive action everywhere! Food waste eats up our agricultural land, drinks up our freshwater and pollutes our atmosphere. And in a world with a rapidly-growing population, it also creates the potential for competition and conflict over valuable resources. By making sure that food goes into our bellies, and not into the garbage and landfills, we not only conserve the food itself, but all the resources that go into producing, packaging and transporting food. Besides, pursuing food loss and waste reduction will help countries meet Goal 12 of the Sustainable Development Goals – of ensuring Responsible Consumption and Production. And as more strategies emerge for addressing the food-waste problem, we may have a chance to tackle climate change in yet another way – this time, one plate at a time. Absolutely informative post. Well researched and nicely put. Looking forward to many such posts from you. Got to know the carbon emission aspect of food waste which I guess most won’t be aware of. Thanks for sharing such valuable information. Hope people start acting and stop wastage of food.